Are you, like many of my students, also struggling with the pervasive Luxembourgish rule of final n-deletion in certain contexts? You do not know when to say ech hunn or ech hu, or is it den Tom or de Tom? What is this rule all about? 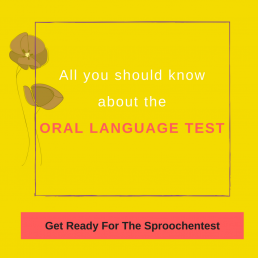 The n- Regel also known as the “Eifeler Regel” in the Luxembourgish language is mainly a pronuciation based rule but the final ‘n’ or ‘nn’ of a word is also dropped in written language if it is not pronounced. Whether the final ‘n’ or ‘nn’ is dropped in Luxembourgish language, depends on the word, number or character that follows the word. 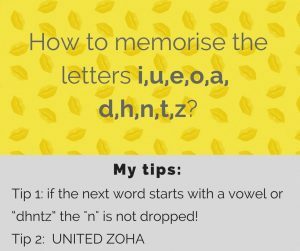 a) if the next word starts with the consonants d, h, n, t, z. Example: Net fëmmen! Moien. Neen. Example: Du solls direkt ophalen! Ech kommen, wann ech Zäit hunn. Example: den Här Schanen kënnt …., Spuenien läit ….., d’Karin wunnt zu ……, München läit an …. k) for verbs with seprarable particle : u(n)fänken: ech fänken haut um 8 Auer un. l) Numbers: véieravéierzeg (44), sechsasiechzeg (66) ….. If you are a beginner do not focus on this rule and put your n at any word. That’ s better than dropping them when not necessary. Have you ever struggled with the “n-rule”? What do you do to memorise this rule? Let us know in the comments! And if this was helpful please do share with friends or luxembourgsih language learner! 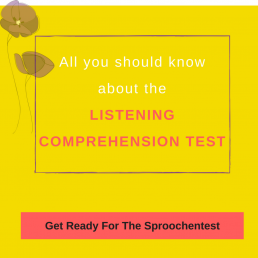 What is the listening comprehension test about? 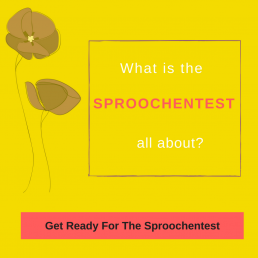 Want to know what the Sproochentest is?